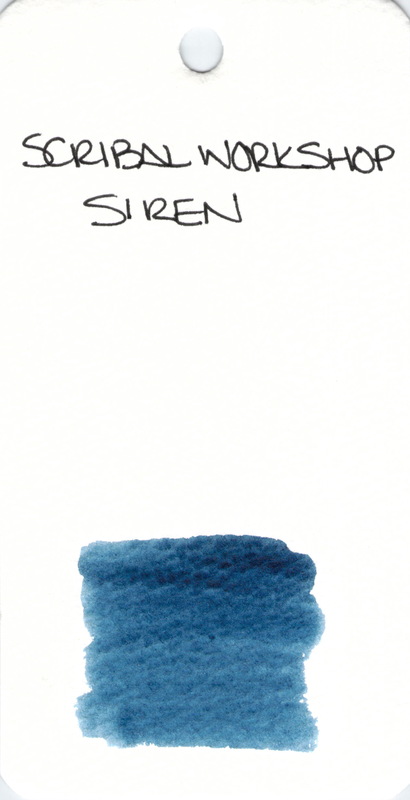 Siren is one of the blue inks from the discontinued line of Scribal Workshop inks. I heard awhile back that they may return in a smaller way? Or maybe they already have? I’m not really up on the latest news. 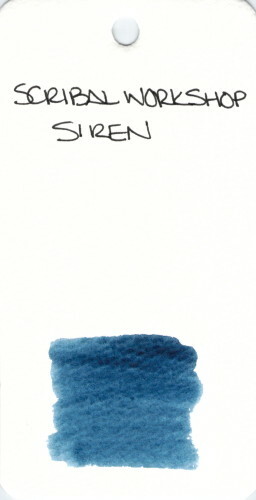 This entry was posted in INKS and tagged blue, ink swab, scribal workshop by Christine (Pentulant). Bookmark the permalink.